The Supreme Court bench comprising the Chief Justice of India, Justice J.S.Khehar, and justices Dr.D.Y.Chandrachud and Sanjay Kishan Kaul, held in a recent judgment that even if allegations of corruption were not aimed at any particular Court, the Contempt of Courts Act could be invoked, if the alleged contemptuous action is aimed at more than one court, or a large number of courts, all at once. The issue before the Court was whether the Judicial Magistrate, Ist Class, Kangan, Jammu and Kashmir, was correct first in issuing notice and later seeking arrest for non-appearance of alleged contemners, in 2006, for publishing the results of India Corruption Survey of 2005 conducted by Centre for Media Studies (CMS) in collaboration with Transparency International, India. Although the survey was conducted independently, with reference to each State, its results for Jammu and Kashmir, made a specific reference to the inference that 92 per cent of the lower judiciary in the State was perceived to be corrupt. Another finding of the survey was that 2,23,267 cases of actual bribe giving were disclosed, with reference to the lower judiciary, in the State. The Court of Judicial Magistrate, Ist Class, Kangan, Jammu and Kashmir, on May 4, 2006, initiated action against five individuals/parties including CMS, and Transparency International, and the editor, printer and publisher of Greater Kashmir, which published the results of the survey. Responding to the notice, both CMS and Transparency International stated that there was never any intention at all on their part to scandalize or lower the authority of the judiciary much less interfere with the due course of justice or obstruct the administration of justice in any manner, as alleged. The Judicial Magistrate, Ist Class, Kangan, directed the appearance of the parties before it, in connection with the notice and the response. Refusing to appear, both CMS and TI contended that while was open to the Magistrate to make a reference to the High Court, under the Contempt of Courts Act, the Magistrate had no right to suo motu initiate proceedings, under the Act. They also pointed out that the Magistrate had no authority to direct their presence, under contempt proceedings, and on their refusal, secure their presence through bailable warrants. The Supreme Court accepted this contention. The Supreme Court agreed with their contention that even when contempt was alleged to have been committed against a subordinate court, only the High Court and not the subordinate court, against which the contempt is alleged to have been committed, has jurisdiction to initiate contempt proceedings. 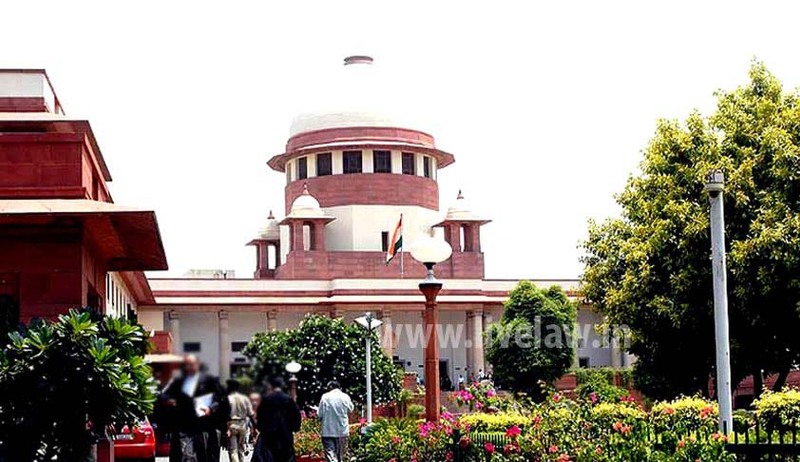 The subordinate court concerned, at best, can make a reference to the High Court in this connection. The Supreme Court held that it is then for the High Court to decide whether cognizance and initiation of contempt proceedings need to be taken. On the question of the accused appearing before the Magistrate, the Supreme Court held that it is optional. In case if they don’t appear, the Magistrate may pass such an order, as he considers appropriate, in consonance with law, the bench held, and added that such an order can be challenged if the accused are aggrieved with it. The Supreme Court thus set aside the Magistrate’s order of arrest.